The Hotel Florence Nice is focused on sustainable tourism and actively promotes a green and authentic image. Our 3-star hotel is committed to minimising our impact on the environment, to preserving natural resources and limiting pollution on a daily basis. 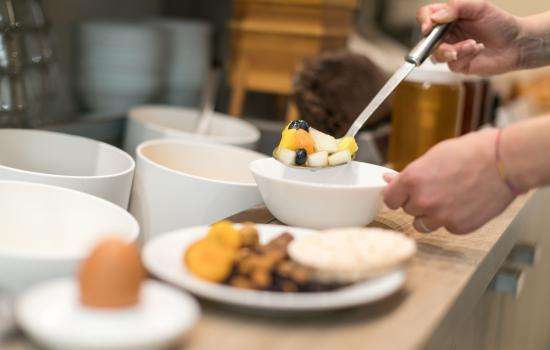 One of our main initiatives is to serve our guests an organic, well-balanced breakfast that is adapted to certain food criteria and in line with responsible and sustainable consumer practices. Visiting a big city like Nice can burn up the calories, so you need to stock up on energy before starting out on a long day. 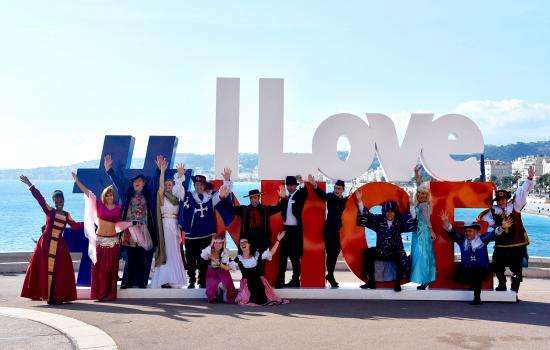 Especially if you prefer to use green modes of transport such as a bike to get around and/or you take some exercise or play some sport during your stay on the French Riviera. At the Hotel Florence Nice, we go out of our way to serve our guests breakfast with top-quality ingredients, so you will be in great shape during your holiday. Our buffet breakfast is served in the breakfast room every morning from 7.00 to 11.00 am. You can choose your sweet and savoury breakfast just as you please. 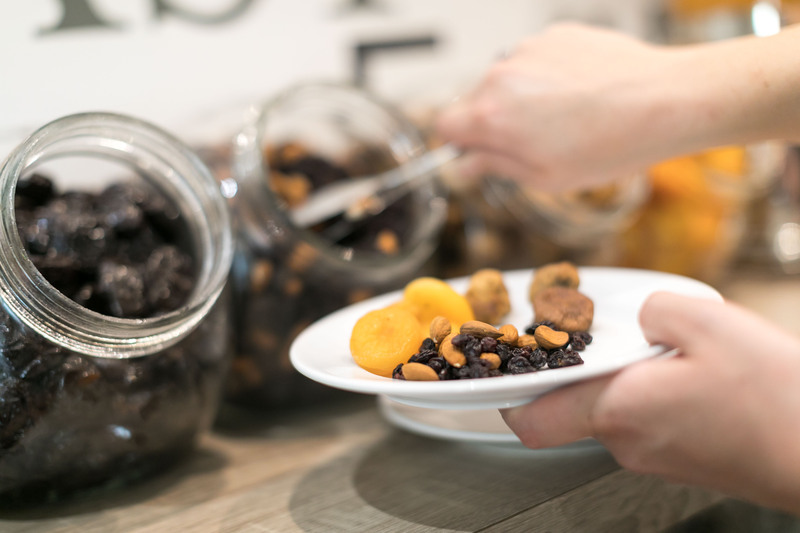 We serve a wide range of healthy and environmentally friendly ingredients: cereals, gluten-free bread and cakes, dried fruit, "made in Nice" honey, fruit salad, etc. 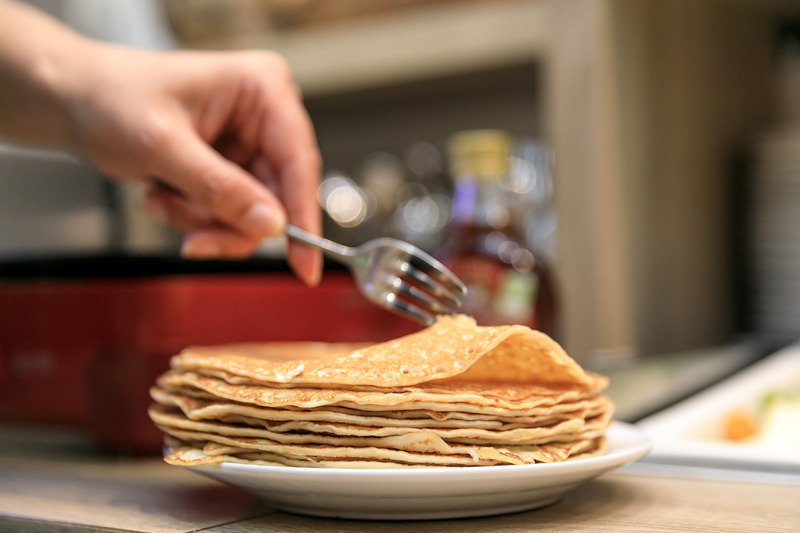 And if you are feeling hungry, you will also find ham, eggs, cheese, brioche, pancakes and pastries baked in our kitchens, as well as Nutella and traditional jams. 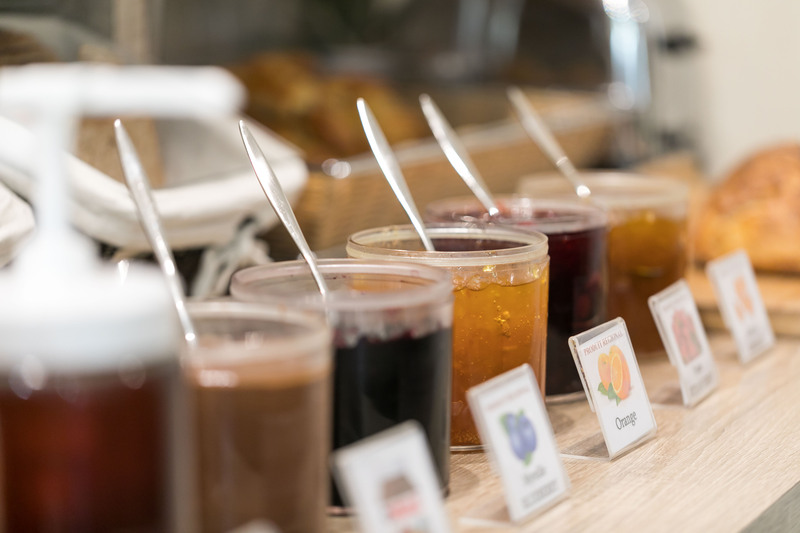 For drinks, you can choose between several different beverages, including Malongo coffee made by fair-trade producers and fruit juices. Want to start off the day in the peace and quiet of your hotel room? Then have breakfast served in your room and make the most of a delicious experience (on request and at an extra charge). The Hotel Florence Nice avoids using individual product packaging as much as possible in order to limit waste. 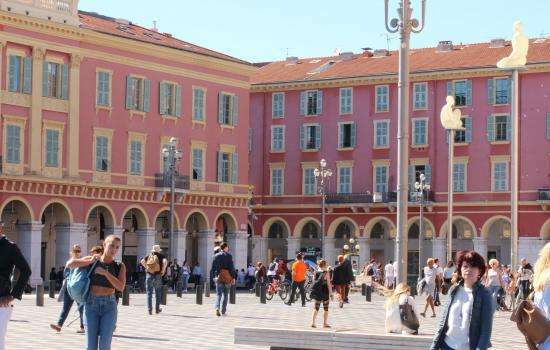 At our green hotel in the centre of Nice we also prefer using products made in the region so as to reduce transport time and our ecological footprint. Help us to continue our sustainable approach by reducing, for example, food waste at breakfast. 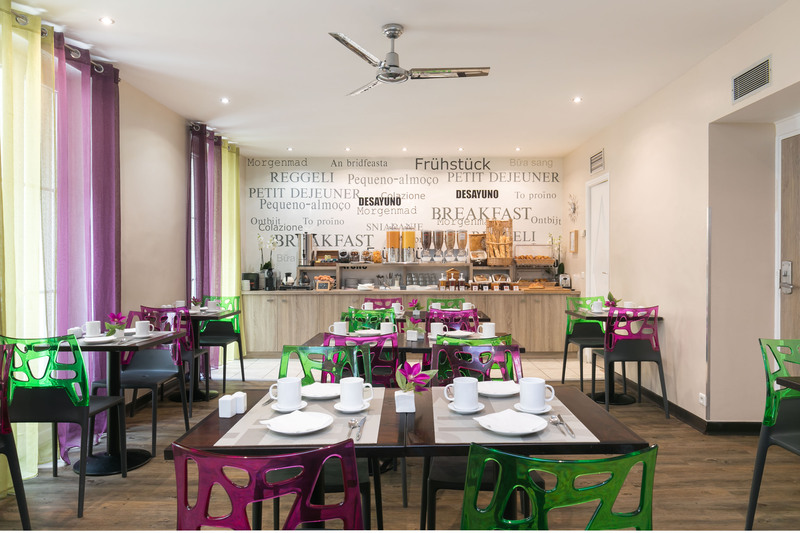 You can take your time for breakfast in our bright breakfast room in a friendly atmosphere, and go back to serve yourself several times rather than taking one big helping at the beginning. The planet needs you. Give your taste buds a treat every morning during your holiday on the French Riviera at the Hotel Florence Nice!